Introducing Armor Tool's new Horizontal Dog-Peg Clamp featuring patented Auto-Adjust Technology mounted on a extended Dog-Peg. 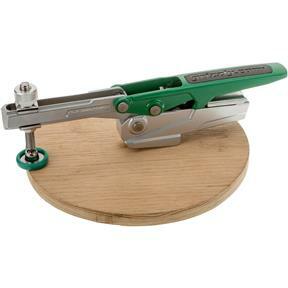 This versatile tool allows clamping on and above the table! 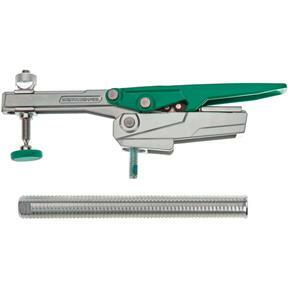 The clamp is fitted with a 7.5" Spiral Aluminum Dog-Peg that inserts into a Dog-Hole. 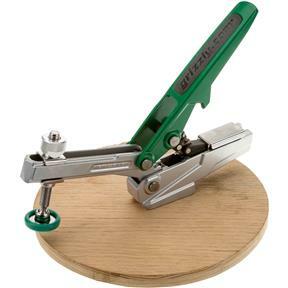 This versatile clamp has the ability to extend up to 5.5" above the worktable surface and can rotate 360 degrees, allowing for a wide range of clamping applications. 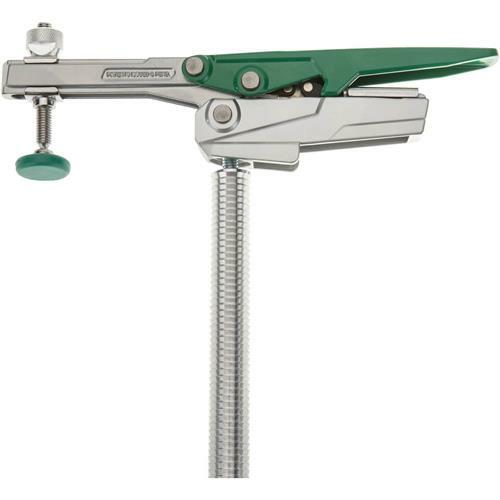 Eliminates the need for constant readjustment and enables the clamp to maintain clamping pressure regardless of material thickness. Versatile Aluminum Dog-Peg: Inserts into any 3/4" Dog-Hole. If you do not have a Dog-Hole table, simply drill a 3/4" hole in any work table over 3/4" thick. Pivoting Spindle Base: Armor's Pivoting Spindle Base automatically adjusts to variations in workpiece dimensions while maintaining clamping pressure. Clamping height 5.5", adjustable clamping force 25-400 lb., holding capacity 550 lb.